With an average daily trading volume of more than $5 trillion, the foreign exchange market – forex for short – is clearly a lucrative one. Forex involves the trading of world currencies in a decentralized global market and has become the hottest area in world trading in recent years. Forex is becoming increasingly popular around the world – so it’s no surprise that more and more people are looking for somewhere where they can learn the skills they need to start trading. Currency trading is an attractive proposition and the ability to be able to work from home and be your own boss, as well as the thrill of carrying out successful trades online, is very appealing. It’s likely that you will have seen forex mentioned in news headlines or on social media, or heard about people who have made their fortunes through trading forex. As a result, there is increasing demand for training courses that teach forex for dummies, as beginners want to find out more about currency trading and learn how to become a forex trader. However, there is no doubt that forex trading can seem daunting and difficult to newcomers, especially without guidance from experts. It can also seem unclear how to get started as a trader with no experience. Therefore new traders, or ‘forex dummies’, need to build up knowledge, confidence, and experience before they begin trading their own money on the forex markets. Everyone has to start their trading career somewhere and as forex is a complicated area to start as a novice, taking a course in order to learn the subject is a very sensible decision. Indeed, many people who start trading without any training lose significant amounts of money due to making rookie errors. In addition, forex markets are notoriously fast-moving and volatile, so novices who begin trading without any training are very much throwing themselves in at the deep end. It can be tempting to jump straight in and start trading immediately, but longterm success is much more likely with patience and proper training. By enrolling in a course, forex beginners can ensure they are fully prepared to begin trading their own money before making their first trade on the market. They can learn how to avoid the mistakes that often catch out beginners, learn basic and sophisticated trading techniques and find out how to plan trading strategies. Fortunately, there are places that offer excellent courses teaching forex for dummies. ForexBoat Trading Academy provides memberships that will teach students the basics of forex and give them all the knowledge they need to become forex traders at the end of the course. Here we take an in-depth look at why ForexBoat is the perfect platform for traders to learn forex for dummies. We will look in turn at each of the advantages that set ForexBoat apart from other forex education platforms. ForexBoat provides two paid membership options: student membership and trader membership. These memberships give you full access to the 8 in-depth forex courses on the ForexBoat site. However, before registering for a full membership, it’s natural to want to try the product and see how it works. That’s why ForexBoat offers a free membership before upgrading to a student or trader account. With a free membership, you can sample the course content before becoming a paid member. This allows you to get a feel for the style of the lessons. Simply click the red button on our homepage and enter your email address to claim your free membership. Once you’ve signed up, you’ll be sent insightful trading tips and will be able to sample some of the premium course content. Firstly, as soon as you enter your email you will be sent a free PDF report called ‘The Top 5 Ultimate Forex Trading Techniques’. 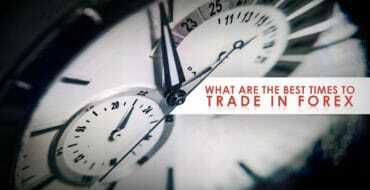 This report also contains a forex market hours map that makes forex timezones easy to understand. Next, you will be sent another email with an easy to follow video that will teach you five simple steps to make yourself ready to start your forex trading career. This video, called ‘5 Steps to Becoming a Successful Forex Trader’, is almost 40 minutes long and will greatly enhance your understanding of forex, especially if you are new to trading. The video also comes with a helpful cheat sheet that you can download and refer to later on instead of having to re-watch the whole video. You will then be given access to a series of introductory videos and in-depth articles to gradually build up your knowledge and give you a taster of ForexBoat’s lessons. Exclusive free content will be sent to you regularly throughout your free membership, so remember to keep checking your inbox to take advantage of this! During your free membership, you are also able to talk to us on Facebook to discuss your forex learning goals and ask any questions about the courses that you may have. There is also no time limitation, so you are free to explore ForexBoat’s content at your own pace before upgrading to a paid membership option when you are ready. This is one of the advantages that helps set ForexBoat apart from other places that offer training for forex dummies. Of course, we were all forex dummies at one point, so we understand how complicated becoming a trader can appear at first. When newcomers want to learn how to trade forex, they do not want to immediately be thrown in at the deep end. This would leave them feeling isolated and lost, and anxious about trading using their own money. Instead, their skills should be gradually built up over time. Our courses start at a low entry level so that new traders are not overwhelmed. For example, our Forex A-Z for Beginners course will teach you the basics of forex and build up your knowledge and confidence so you can progress to the courses dealing with more sophisticated elements of forex trading when you are ready to do so. The A-Z course is a great starting point for forex beginners. It starts at the very beginning of forex education with an introductory topic simply called ‘What is Forex?’ before progressing to more sophisticated topics later in the course. This means that forex novices will not be alienated or put off by the lesson content. Our content is tailored to provide a learning curve, starting with forex for dummies and ending with trading insights and tips that will benefit even professional traders. Our membership caters for all abilities and experience levels. This includes everyone from people starting at the very beginning who want to find out what forex is, to people who are starting to trade forex but are having difficulties and would like some things clarified, and finally experienced traders who are looking to get a competitive edge on the market with some new techniques. Therefore beginners should not be put off by some of the more complex topics that are taught later in the training, as these will make sense to you by the time you reach them. Of course, you can also progress through the content at your own pace, allowing you to choose the best speed for you to work through the content in order to facilitate your learning. ForexBoat’s vast membership base allows you to connect with fellow traders and share experience and tips. This means you can meet forex traders who are at a similar stage in their development as you, and also gives you the opportunity to learn from more experienced traders. ForexBoat’s regularly updated trading forum provides a community hub where traders of all levels can ask questions, receive answers and discuss strategies. Inexperienced traders shouldn’t be afraid to ask questions either – there is a separate area of the forum called ‘Newbie Questions’ where the community will answer your question without judgment, no matter how basic it may be. As the saying goes, ‘there are no stupid questions, only stupid answers’! The forum is a great way to consolidate your forex learning by picking up new tips, receiving feedback on your ideas and talking to other traders with different experience levels. Between ForexBoat’s 2,500 traders from all around the world, it’s fair to say there will be someone out there who can answer your question and it’s also more than likely that there’s another trader who is wondering the same thing. Everyone in our trading community shares the common goal of improving their trading skills and earning more money from their trades. Sharing tips and working together allows the community to improve together. We understand that you are busy and that your time is precious. Of course, we know that you will want to progress to becoming a fully-prepared forex trader as soon as possible. That’s why our courses and lessons are designed to be hard-hitting and straight-to-the-point. We will give you the essential knowledge and teachings you need at the minimum time necessary. Our lessons will go straight into the important forex topics in order to maximize your learning and the benefit you receive from our courses in the time available. This will provide the best value for money possible by ensuring you are fully prepared to begin trading once you have completed all the courses. There will be no filler lessons or topics that are only there to make up the numbers. Each unit in the courses has been chosen specifically to develop your understanding of forex. Of course, this also means that if you wish to come back to a lesson later on to refresh your memory or recap, you will not have to waste any time as the lesson will get straight to the point. Learning the core technical knowledge and understanding important forex concepts is, without doubt, an essential part of your forex education. However, in order to really develop your trading knowledge, it’s vital to put the theory you’ve learned into practice. ForexBoat provides a variety of live trading examples to show how this knowledge can be applied when making real-life trades. These tutorials demonstrate how the forex theory you have learned can be used to make money on the forex markets. Of course, in real life markets change constantly, so live trading tutorials are very valuable in teaching you how to apply your knowledge in different market circumstances. Our live trading examples cover a huge range of trading topics, from hammer candle reversal trades to stochastic oscillator trading. These practical demonstrations will be very useful when you progress to trading your own money and becoming a professional forex trader. They are a great way of bringing theory learned in the classroom to life and consolidating your learning. In addition, they provide an important advantage over forex courses offered elsewhere that are solely based in theory and do not give practical demonstrations. As well as the numerous hours of lessons and live trading examples, ForexBoat provides two webinars per month. 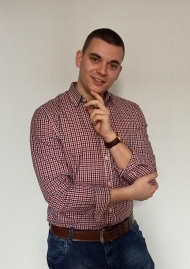 These web seminars are great opportunities for subscribers to sit down withForexBoat founder Kirill and send in their questions and receive advice from an experienced forex trader. The webinars are also a great place to discuss the latest trends in forex, new developments on the market and topical trading techniques. The markets are always changing, and there may be a development that you do not understand or would like to be clarified. This is something that you can ask during a webinar. Similarly, you can see how Kirill and other traders in the community perceive market developments. Are they adapting their trading strategies to adapt to a change? As with the community forum, the webinars provide an opportunity to interact with fellow traders with various levels of experience, who may have different perspectives or techniques that you can learn from. You can also discuss your trading progress in these webinars to help further your forex development. 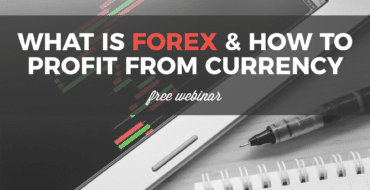 The webinars also provide an opportunity to give feedback on our courses so that we can continue to improve ForexBoat’s content and provides a forex education that is as useful as possible. In addition, webinars are kept in the webinar archives so that they can be accessed at a later date. This means that members with a trader account who have just joined the Academy can still access past webinars so they do not miss out on tips discussed previously. ForexBoat’s8 courses contain an extensive range of lessons and content. A huge breadth of topics is covered in order to provide you with the best forex education possible. 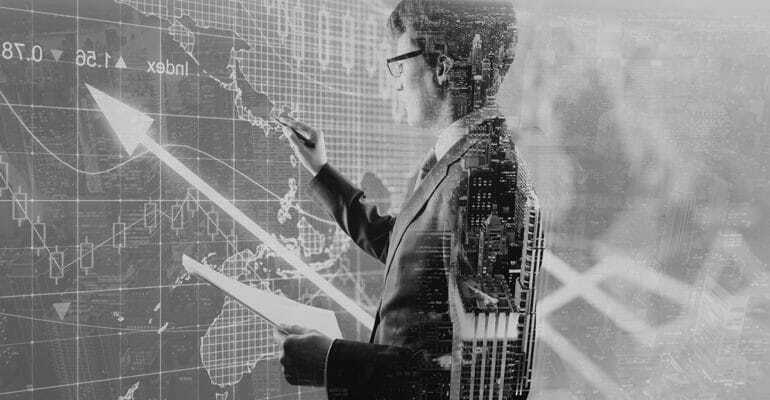 You will learn everything from an introduction to forex to sophisticated trading techniques that will give you an edge on experienced traders. This depth is something that gives ForexBoat’s courses an advantage over other courses. Many of the courses hosted by other forex education providers will only teach you the bare bones of forex trading and will likely leave you feeling confused and unprepared to begin trading using your own money. Indeed, some courses claiming to provide training in forex for dummies only consist of a short book or even just a PDF or cheat sheet. This does not constitute a full education in forex and will not leave you sufficiently prepared to start trading using your own money. ForexBoat provides a great range of multimedia content in order to assist all types of learners, from visual learners to practical learners. We recognize that everyone learns differently. In our courses, skills will be introduced, honed and then consolidated to maximize learning. As mentioned earlier in this article, ForexBoat offers two types of full membership: student and trader. These accounts are priced differently. Student memberships are priced at $19.70 per month, while trader memberships cost $197 for a whole year. This works out at the price of 10 months of a student membership, and as mentioned previously you also have access to the extensive archives of webinars. As all of the reasons above demonstrate, ForexBoat is a great place to learn forex for dummies through in-depth courses and hard-hitting lessons. Our extensive training will leave you ready to take on the markets and start your career as a trader. If you have any questions or would like to learn more, please don’t hesitate to contact us. We hope to welcome you to the Academy soon!